There is a lot of blending with the natural surroundings going on and it keeps you on constant lookout! You know there is always something worth looking at when a crowd forms in a particular spot along the boardwalk! What Have You Been Exploring? Love to Hear, Please Share! Happy Exploring!!! In Sawgrass Lake Park again. Can you tell I like to go here to explore and adventure. We encountered a gentleman on the boardwalk and he introduced us to Mama Gator. He stated she has about 24 babies. I saw one of the babies. I could not figure out what species of bird this was, so I sent a picture of it to the local Audubon Society to help me identify. Let me introduce you to a Limpkin. Looks like a cross between a crane and a rail. However, this wading bird does not have any close relatives. I got to see not 1 but 2 Limpkins! These birds are usually solitary. 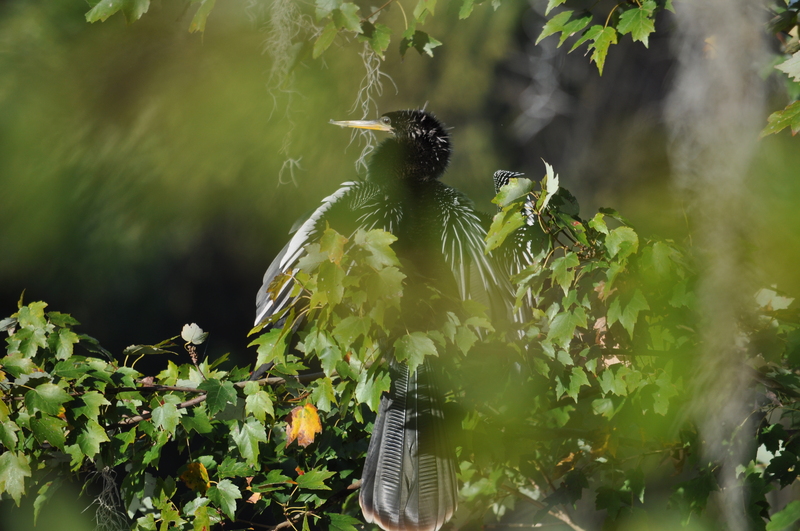 An unusual bird of southern swamps and marshes. These birds like to eat apple snails hence the shape of their long bill to extract the snails from their shells. 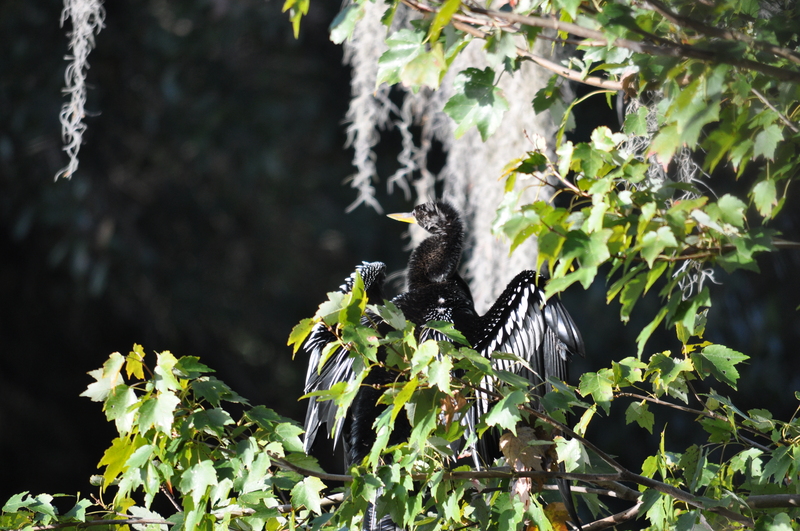 This bird enters into Florida and Southern Georgia to satisfy its dietary requirement for apple snails. I encourage you all to do an internet search for the “Limpkin Call”. Its screaming call is like a haunting banshee wail. This bird was too busy searching for food, so it did not make any noise when around it. In my research I found out these birds mainly call at dawn or at night. 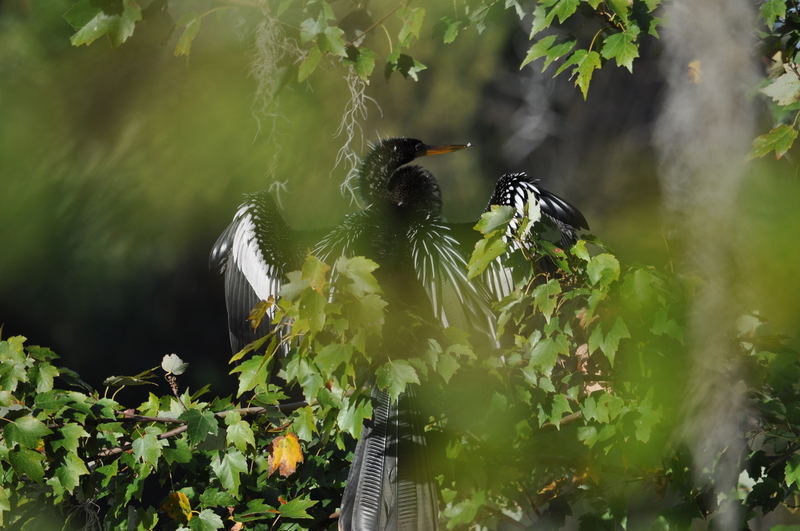 I cannot imagine traipsing through the swamp at night and hearing this bird scream – gives me goose bumps writing that! Do you see the snake? Have You Taken A Walk On the Wild Side? Happy Exploring & Adventuring! Finally found the gators at Sawgrass Lake Park! Sawgrass Lake Park. Open every day from 7 a.m. to sunset. 400 acres of maple swamp! There is a mile-long boardwalk to keep visitors out of the water and away from the gators. Need to go back because the gators were hiding! No Gators Basking in the Sun! This grasshopper was big as well as colorful. Close Encounters With the Creepy! These spiders are true engineers with their web building – WOW! Happy Exploring and Becoming One With Nature!